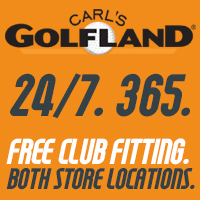 Find Swing and Save Golf Offers Near You! 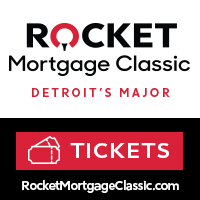 NOW YOU CAN SAVE AT MANY OF YOUR FAVORITE GOLF COURSES! 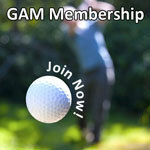 Some 55,000 Michigan golfers already know that GAM membership is the best value in golf. If you are not taking advantage of the GAM's Swing & Save program you are missing out on great golf for less. Through special arrangements with member clubs, we’ve expanded our popular Swing & Save program to offer discounts at more than 200 Michigan locations. There are offers for discounted greens fees, lessons, range balls, carts, golf and dine packages, stay and play packages and more. There are no coupons to clip, no books to carry around and no confusing “points” or “yards” to keep track of. Just present your GAM Golf Card and start saving every time you swing your club. Check under the Tee Times tab on the GAM web site to see other offers through our Exclusive Tee Time program. 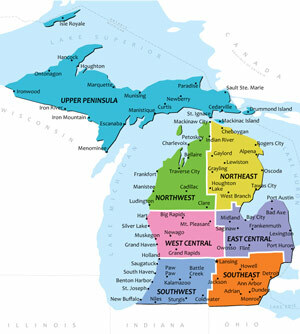 Click on a region of the above map to view Swing and Save details for participating clubs.